Learn how to make sponge cake from scratch thanks to this easy sponge cake recipe. It does take an extra step or two compared to making a regular cake, but you'll know the effort is worth it when you taste this light, fluffy cake. It's more delicious than any you could find in a supermarket bakeshop. Make one tonight and see. 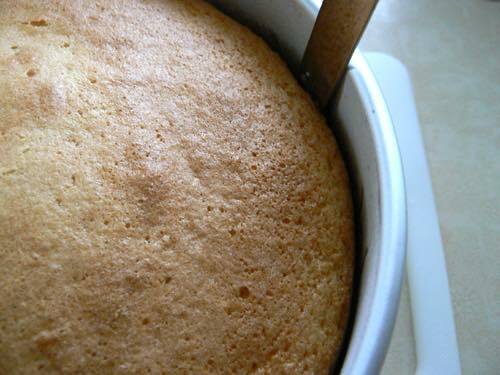 Let your oven preheat to 325°F as you gather the ingredients for this easy sponge cake recipe. Grease and flour a 9-inch cake pan. 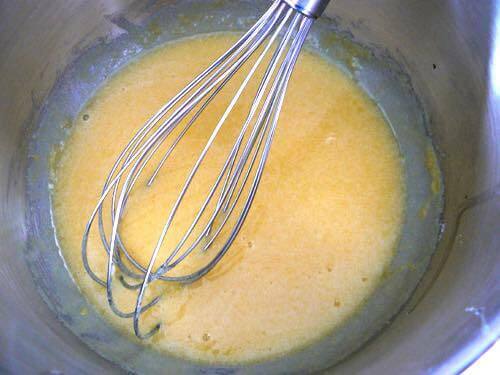 In a large bowl, use a whisk to mix the egg yolks with the sugar and vanilla, then set aside. 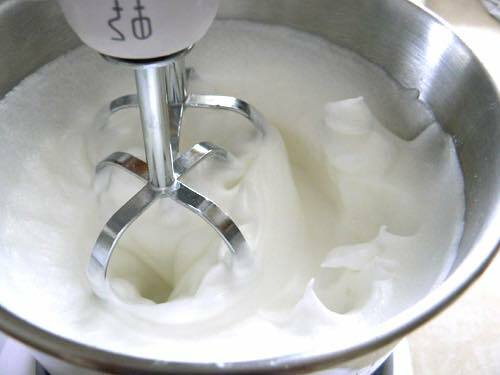 In a medium mixing bowl, add the egg whites and beat until stiff peeks form. Fold half the beaten egg white mixture into the large bowl with all the egg yolks. Add the flour, oil, and milk, and mix gently until well combined. 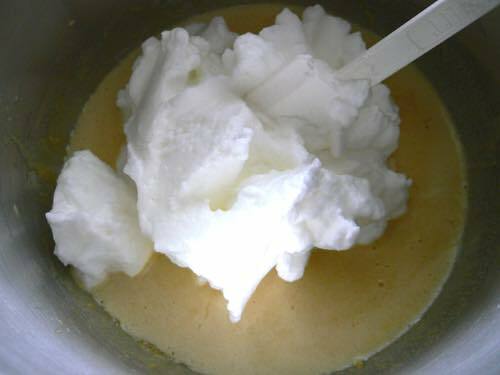 Finally, fold in the remaining egg whites carefully, making sure the mixture stays as light and fluffy as possible. 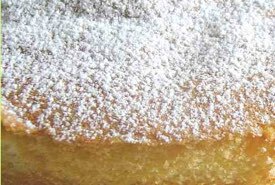 It's the trapped air in the batter that makes a sponge cake light and spongy in texture. 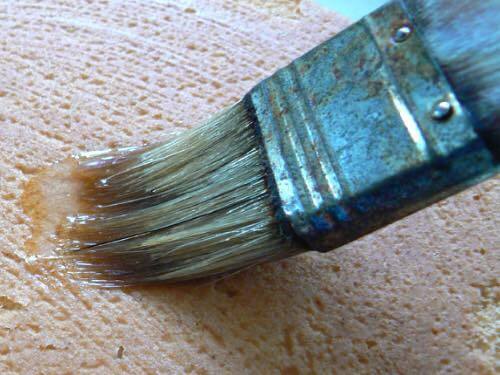 Pour the entire mixture into your greased cake pan, making sure that it's distributed evenly. 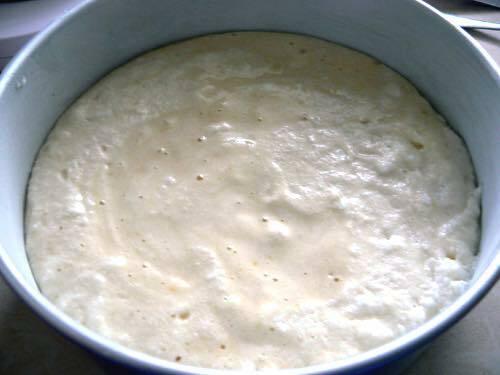 Notice how light and airy the batter appears in the image below; that's what makes a sponge cake spongy. Place the pan in your preheated oven and bake for about 25 to 30 minutes at 325°F. Around the 25 minute mark, test the cake to see whether it's baked, or whether it needs more time. The top of the cake should appear light brown, and the cake should spring back if you push your fingertips gently in the middle. You can also insert a toothpick in the middle to ensure it comes out clean. Remove the cake from the oven once it's ready. Run a table knife around the edge of the cake pan to separate the cake from the sides of the pan, and let it sit for about 15 minutes. The cake will shrink slightly as it cools, and this will allow it to shrink evenly, instead of being stuck to the sides of the pan. 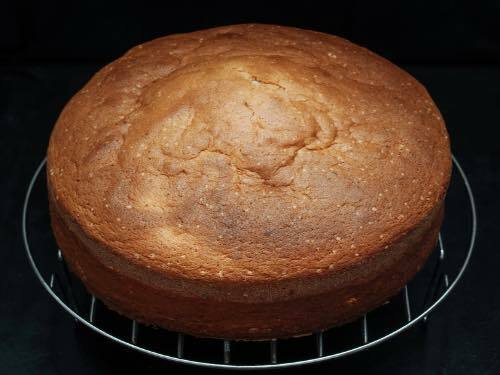 After 15 minutes, remove your cake from the pan by placing a cooling rack on top of the cake, then flipping over both rack and cake together, while gently tapping the pan to release the cake. You may need to loosen the cake further with a knife along its edges. 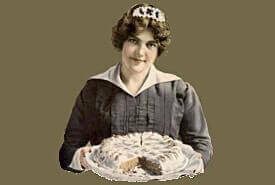 Once the cake has thoroughly cooled, it can be served plain, iced with sweetened whipped cream, or frosted. Or, you can brush on an old fashioned sugar glaze using the following recipe. Place the water and sugar into a small saucepan. Heat while stirring until the sugar completely dissolves, then set aside. Once the sponge cake has completely cooled, use a pastry brush to spread the sugar mixture over the entire surface of the cake. 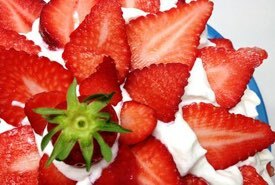 Feel free to modify this easy sponge cake recipe by adding some of your favorite fruit to the batter or by decorating it with your favorite topping. Sponge cakes are very versatile and by knowing how to make one, you'll always have a delicious dessert handy whenever you need or want one.